Endurance: You think it's difficult to swim a few miles, cycle some more and then run 10k? Then you haven't had to cajole users to actually enter data in your database (consistently) or persuade trustees to cough-up some money for a new system, or keep those data quality checks going not just on day one, but months or years later. Giving up one's social life for something you believe in: Triathlete's think they have it tough when they do a bit of training every day, but trust me, until you've done the late shift 3 nights running because there is an urgent mailing which is going out next week (well, probably going out), then you'll know all about commitment to one's cause. Training: Yes, well, not exactly the same, but you'll know where I'm going with that. Not willing to accept second best: Absolutely. When you're locking horns with your database supplier, or doing the latest fulfillment import or trying to work out just why that little function has stopped working which had been working so well until last Tuesday's upgrade... then you know all about the urge to win. Belief in data: Triathletes love data - they track how quick they've run this week, how much time was lost in transition, how their competitors are doing. They might make quite good Database Managers. Falling down and getting up again: For one of these groups of people there are going to be times when it's tough - when you don't quite make it the first time and you need to pick yourself up and try again; when everyone says you're stupid for persisting; when you injure a wrist from pressing too hard. But that's the life we accept as Database Managers. I suppose triathletes do something similar. 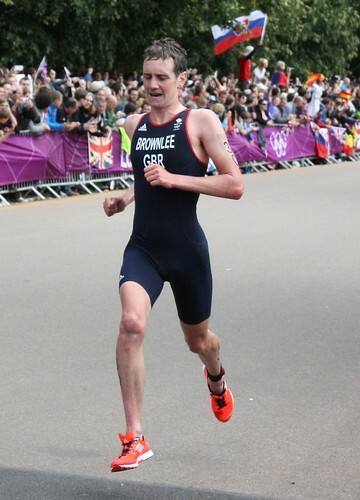 Anyone got any other suggestions as to why a Database Manager is like an Olympic triathlete? Enter them in the Comments below.